Everyone needs a little self-improvement, right? That’s why I’ve set a personal challenge for the month of July to tweak here and there areas in my life that need some extra attention. Nothing radical mind you. Just little things I can do to bring more clarity, more joy, and more vitality to improve my daily routine. My Problem: Am I the only one noticing that prices are going up, quality is going down, and most ingredients are scary? My Goal: Whenever possible, make it from scratch. My Plan: There is nothing more self reliant than do-it-yourself projects. I am a big fan of DIY and choose a DIY alternative whenever I can. Although DIY requires some pre-planning and calendering, it is totally worth it to know that through my self reliance, I am getting the best product for the best price without compromising good health. I was thrilled to learn about making homemade laundry soap. There seems to be a renewed interest in making this product from scratch at home. And I am totally there. Artificial dyes and harsh chemicals have made store-bought detergents prone to setting off allergies and who knows what else. 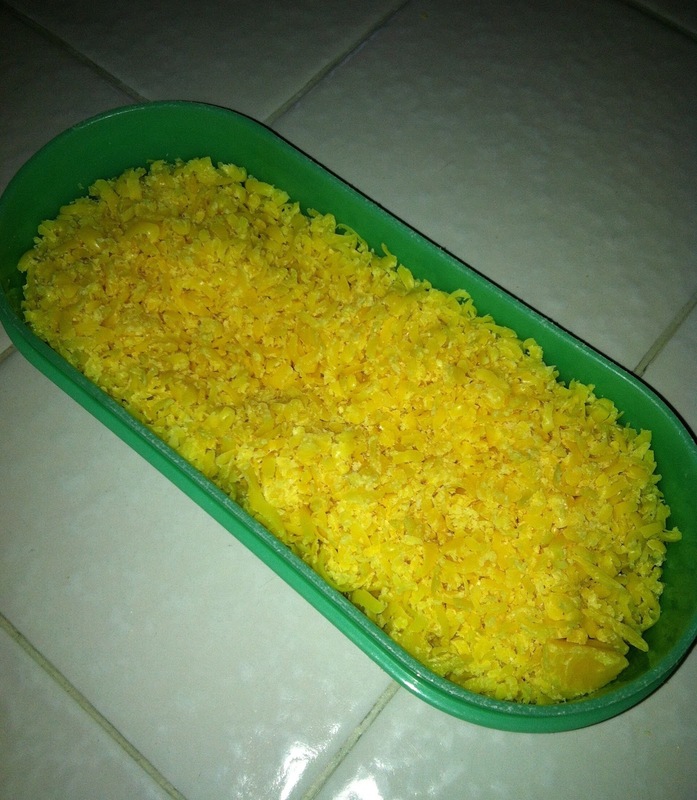 My daughter shared this “recipe.” It is easy and cheap to make. Plus one batch of soap lasts 6 months!!! 1) Grate the bar of soap and put in to a saucepan with the 4 cups of hot water. 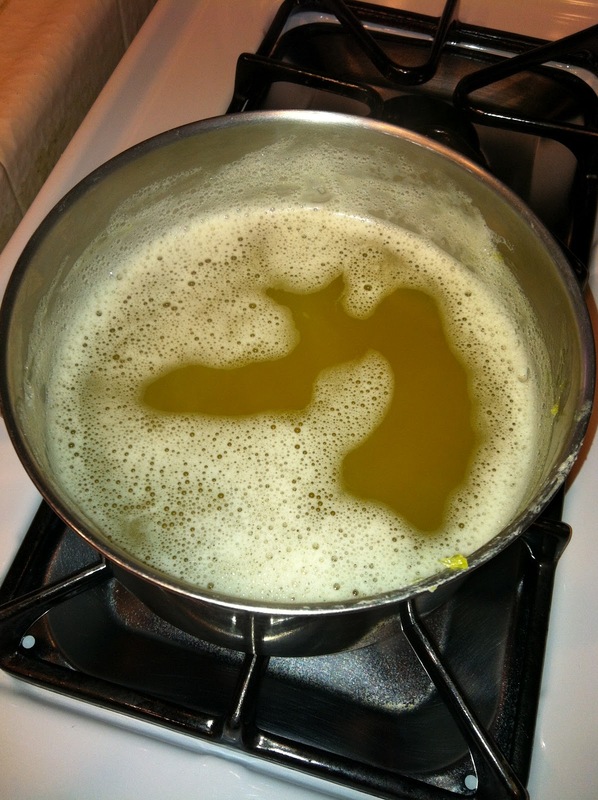 2) Stir continually over medium/low heat until soap dissolves and is melted. This took me about 8 minutes. 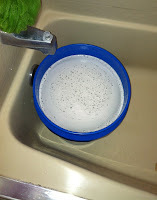 3) Fill the 5 gallon bucket half full of hot tap water. I did this step in my bathtub. It made it easier and more manageable to fill the bucket. Add in the melted soap, and washing soda. Stir well with a paint stick until all of the powder is dissolved. 4) Fill the bucket to the top with more hot water. Stir, cover, and let sit overnight to thicken. 5) The soap is already pretty clean smelling, but if you want a “prettier” smell, you can add 10 to 15 drops of essential oil once the soap has cooled. Spark Naturals offers great essential oils. Recommended scents to make your laundry smell fantastic include lavender, rosemary or lemon grass. 6) When it is time to do the laundry, add 1/2 cup of the detergent to a top load machine or 1/4 cup to a front load machine. The total cost for this little project: $14.33 plus tax. It is literally pennies per load of wash. And I have enough washing soda and Whisk for another batch, so I will save even more next time. 2) When adding the grated soap to the heated water, do a little bit at a time or else it will all clump together, making it harder to dissolve. 3) The soap will continue to thicken for a few days. Just keep stirring it occasionally to make sure it is all mixed up. 4) If you go to Spark Naturals to buy your essential oils to create a unique scent for your laundry soap, use the code midlifeguru at check out and you will always get a 10% discount on any order!!! Caryn, this is so interesting but how do you store your prepared soap? Does it keep well? It keeps great Shirley in the 5 gallon bucket with the lid on. I keep the bucket on the floor next to the washing machine. 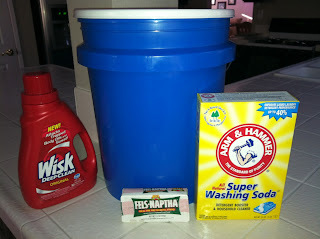 For my weekly laundry batches, I use an empty 75 oz. laundry detergent container and fill it with my soap. The lid holds just the right amount of soap for a medium batch of clothes. Then, when that gets empty, I go back to the bucket and refill the smaller container. It is a lot easier to manage that way.